It’s not even 2017 yet, and we still have a painfully long nine months to wait before Apple launches its hotly anticipated iPhone 8. Apple is expected to mark the tenth anniversary of its original iPhone launch with a bold new design, completely overhauling the current iPhone design. It will be a welcome change for Apple fans, whose iPhone 7 and iPhone 7 Plus handsets feature a design that has now been utilized for the third consecutive year. The report also mentions a second FPCB maker that’s directly affected by Apple. Zhen Ding Technology also expects weak performance for the first five months of 2017, on account of a lowered demand for the iPhone 7. Zhen Ding is preparing for next-generation iPhones as well though, which should help it regain momentum. It’s unclear whether Zhen Ding will also make components that will fit the OLED iPhone 8. 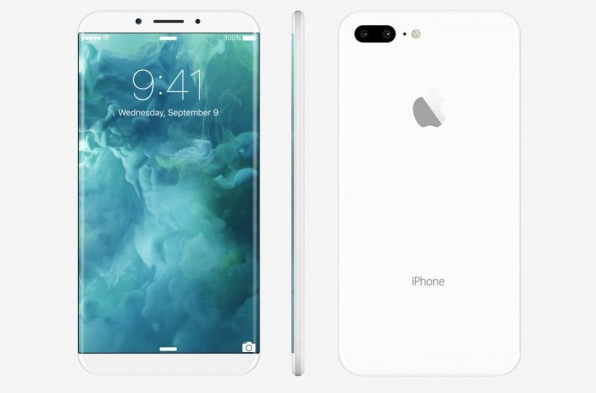 Much has been made of rumors that the sides of the iPhone 8’s display will be curved, and people have been quick to assume Apple is planning a design similar to what we’ve seen on Samsung Galaxy S8, Samsung Galaxy Note 8, and several other Samsung smartphones. But what if Apple is working on something much more subtle than that?